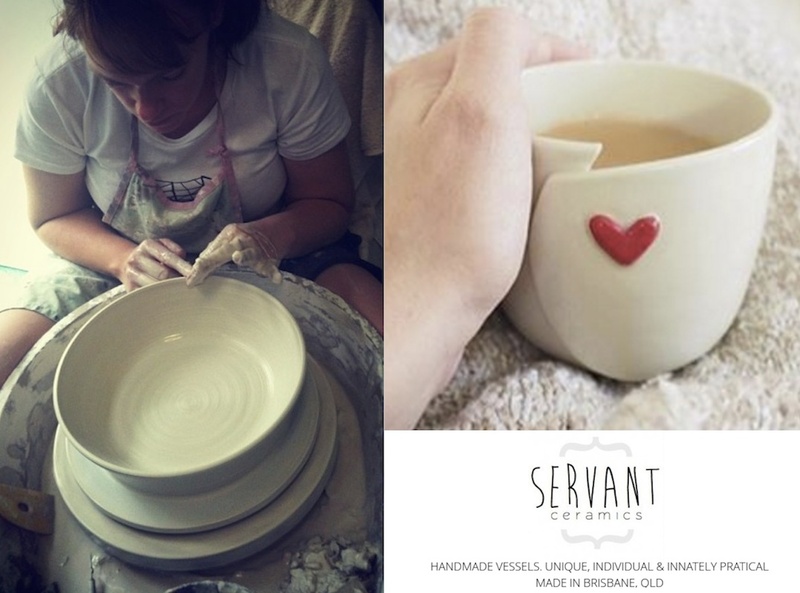 Welcome to Servant Ceramics! I am the owner and maker, Rachel Cramer, and I’ve started this business to make sure that you or your loved ones don’t eat or drink alone. As a child, my parents were passionate about community and loved inviting family, friends and guests to share a meal. Stories were exchanged, dreams were uncovered and losses mourned; laughter and tears, discussions and debates all occurred around that octagonal kitchen table. We shared around that table. We shared life. But times have changed. Families don’t live in neighbouring suburbs. Friendships are increasingly forged online, fuelled by interests rather than proximity. Parents work long hours and children seem to grow up too quickly. Family time is reserved for holidays. Friendships seem to morph into hitting a like button twice a week but never catching up – getting that cup of coffee together is proving a more allusive challenge these days. We seem to be connected with more people, but is that the case? I know what it’s like to know no one around you and to feel completely and absolutely alone. Surrounded by people, yet isolated and overlooked. At these times, I remember retreating to my bedroom, closing the wooden door and crawling into bed after pulling out a few treasures from my third desk drawer. As I reflected upon the items – a photograph, a card and a mug – feelings of acceptance, recognition and love warmed my heart. The maker knows you are using them. They were made, just for you. I love making vessels that you can use or give as gifts to the significant people in your life – a mug for your Mum to drink her coffee from every morning, a dinner plate for your Dad’s steak and two vege, a matching teacup and saucer set for you and your best friend so that when you Skype you can drink tea together, your baby nephew’s first bowl… I enjoy making vessels to enrich and enhance the drinking and dining experience for any and every occasion. If you have something wonderful in mind for someone special, please do contact me for a custom order. For the past three years, I began working full time with clay in Melbourne, VIC but recently relocated to Brisbane, QLD. Each vessel is now hand-made in my Brisbane-based home studio and I decorate, glaze and fire every piece myself.